The EuroLeague Women merry-go-round transfer is in full swing at the moment although FIBA Europe have not announced the 24-team line-up for 2011-2012. 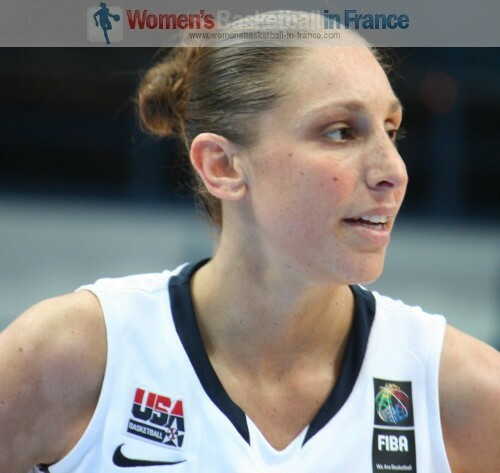 However one signing is making waves in the city of Istanbul, Diana Taurasi is back but not with Fenerbahçe S. K.
Taurasi was forced to put her career on hold after a doping test came back with an unexpected result. After almost eight weeks of uncertainty, Taurasi and Monique Currie were cleared and allowed to resume their careers. Taurasi (right) decided not to return to complete the season but instead to rest and prepare for the WNBA season. She is currently in camp with the USA national team. Yet Galatasaray Medical Park released an official story on their website that Taurasi would be playing for them next season. The club have also confirmed the resigning of Sylvia Fowles, who will rejoin them in January 2012. Galatasaray have already signed Tina Charles and Alba Torrens for the coming season.